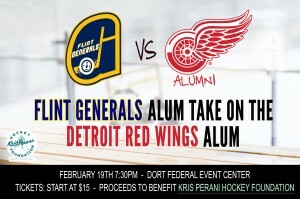 You are here: Home / Fundraising / Red Wings Alum to Play the Flint Generals Alum Feb 19th! 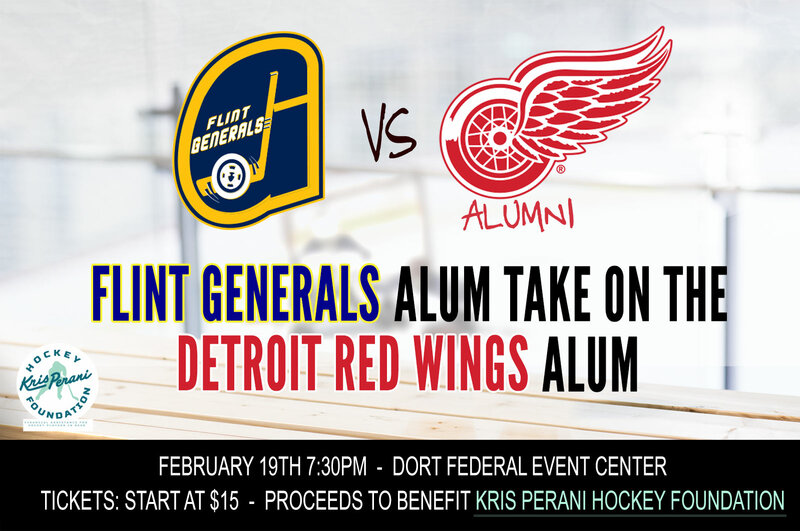 We will be auctioning of the game worn jerseys at the conclusion of the game and the proceeds will benefit the Kris Perani Hockey Foundation. This is a great opportunity to pick up a souvenir and support our foundation.